Millions of Americans recognize the work of Joel Schick (BA,’68). 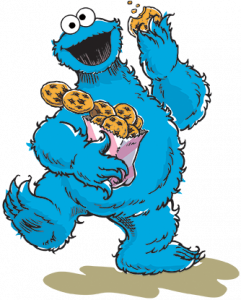 But like many illustrators, his name is not as well-known as his art — renderings of Cookie Monster, Big Bird and hundreds of other whimsical figures in nearly 80 children’s books, including Muppet and Sesame Street stories and illustrations for the beloved Wayside School and Magic School Bus series. Schick applied to Roosevelt in 1965 after leaving Northwestern University and Augustana College due to disciplinary issues. Roosevelt’s admissions officer told him his test scores were good but he had poor grades and a record as a troublemaker. “There’s not a college in this country that would accept you with a record like this. Luckily for you we are running a special for draft-age men,” the admissions officer said and admitted Schick on the spot. “I was given a second chance by Roosevelt . . . a school that gave me a break when I was down, and it very likely saved my life,” he said. 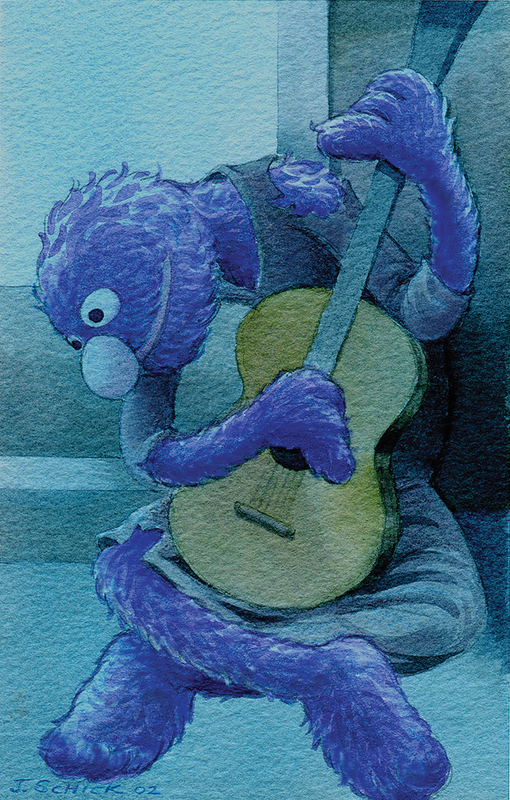 Schick had always been interested in art, remarking that “as a kid I was crazy about Donald Duck and Little Lulu, Disney animation and MAD Magazine.” But his high school art teacher told him, “Forget it, you don’t have enough talent to be an artist.” So Schick turned instead toward music and played in a band; while at Roosevelt, he was offered a job in New York City as a songwriter. However, not willing to lose his student draft deferment, he remained at Roosevelt until graduation. Like many Roosevelt students, he worked while going to school — loading planes at O’Hare, working as an auditor/night clerk at an Oak Brook hotel and counseling in a home for emotionally disturbed children in Evanston. He assumed he would enter a career in social services. But then he found work at a print shop, where he learned how art made its way from a client’s notion to publication. There he found his vocation. His schedule was busy — attending morning classes, going to work and studying in the middle of the night. He was rarely on campus except for class, though he recalled reading the Torch and attending campus film festivals. After nearly half a century, he still can remember several of his professors, including Aurora Biamonte in psychology, Morris Springer in French (“I remember him better than I do French!”), and especially English professor Marilyn Levy, who taught public speaking and invited Schick to meet her husband, a graphic designer, at her home in Evanston, Ill.
Joel and Alice moved to New York with a portfolio of cartoon marginalia from his Roosevelt notebooks. There he sought design work with book publishers and began a career with such publishing houses as Holt Reinhart and Winston, Random House, Delacorte and Dell. During those years, he designed hundreds of books and book jackets. He was especially excited to design several Kurt Vonnegut books, including Breakfast of Champions, and Arctic Dreams by Barry Lopez. Both books won the National Book Award.nHe also remembers spending afternoons at Vonnegut’s house, discussing projects, watching the Nixon impeachment hearings and meeting a new young author — John Irving. “Designing books was great fun, but I wanted to draw, to illustrate for children,” he said. 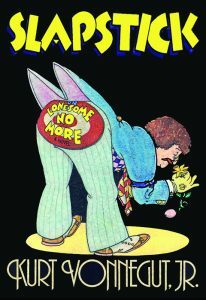 In the mid 1970s the Schicks moved to western Massachusetts where they created books together and raised their son Morgan. Joel also became art director for the Bank Street College of Education, developing board games, pre-school text programs, retail marketing and corporate branding. 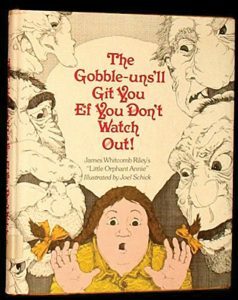 His first children’s trade book illustration came out in 1974 and embellished an 1885 poem by James Whitcomb Riley, published as The Gobble Uns’ll Git You, Ef You Don’t Watch Out! It was an award-winning hit. He then began getting calls to illustrate other children’s books. “I became the go-to guy when publishers wanted someone to bring a little humor to a manuscript,” he said. In the 1980s he and Alice created a newspaper comic strip, which, while it didn’t make it into print, caught the eye of Muppet illustrator Tom Leigh. 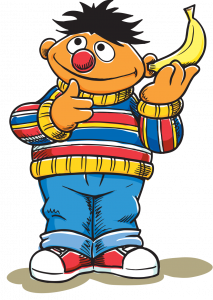 Leigh had collaborated on previous projects with Joel and Alice and when he began working for Sesame Street introduced Joel to his contacts. “It was a match made in heaven,” Leigh remembered. 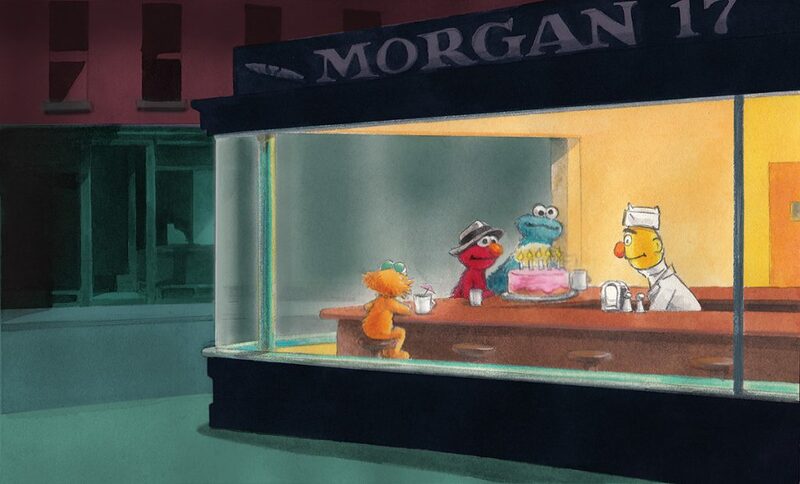 At that time Muppet creator Jim Henson insisted that every Muppet product feature a new piece of art, and there were hundreds of products requiring hundreds of pieces of art — and only about a dozen artists in the world were permitted to draw the characters. His trade book illustrations have been honored with many awards, including a Wisconsin Golden Archer Award (voted on by middle school students), a New Jersey Book Award, and a Caldecott Honor award. His career was also recognized in 2012 by the W.E.B. Du Bois Center in Great Barrington, Mass., with a show titled “Bein’ Green: Why Every Color is Beautiful: An Exhibition of Original Muppets Artwork by Illustrator Joel Schick.” He also created a series of popular art parodies, featuring Muppets at the center of well-known paintings, including Grover as Thomas Gainsborough’s Blue Boy, Elmo and Zoe in Jan Van Eyck’s Arnolfini Marriage, and Telly in Edvard Munch’s The Scream. Just as satisfying have been the numerous letters from young readers. 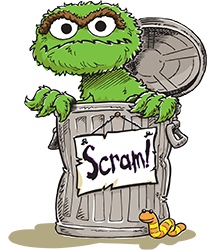 “One of the joys of illustrating children’s book is the contact with kids,” said Schick. Six-year-old Randy Cecil in 1975 created a puzzle based on one of Schick’s illustrations. The two corresponded several times through the years and Cecil grew up to become an artist who has now illustrated over 20 children’s books. Other fans included Michael, who wrote in 1981 that “I thought my brother was a good artist but he’s nothing compared to you.” Christian liked the pictures in Schick’s adaptation of the monster in Frankenstein, but believed that Schick missed something crucial — there was supposed to be “a steal piece stuck threw his head!” (Christian still had to learn some spelling techniques), and Devin, who wanted to emulate one of the Wayside School book characters with a tattoo, which Joel was happy to draw for him. Schick no longer illustrates books but has returned to music — writing songs, singing, playing harmonica and guitar, and producing CDs. He has written almost 400 songs and finds a connection between art and music. According to Joel, both art and music are “about a desire to entertain, to communicate with an audience.” Samples of his songs and art are available on the website he and Alice established to make their work available: FamilyGorilla.com. In November 2015 Schick visited Roosevelt and donated his papers, books and original artwork to the library. “The Roosevelt University Archives is thrilled to house Joel Schick’s collection,” said archivist Laura Mills, “especially since the artwork will enhance our collection of award-winning children’s books.” Among the items donated are sketches, correspondence, original art and even some of Schick’s old Roosevelt notebooks complete with doodles. Schick believes there are three kinds of illustrators. 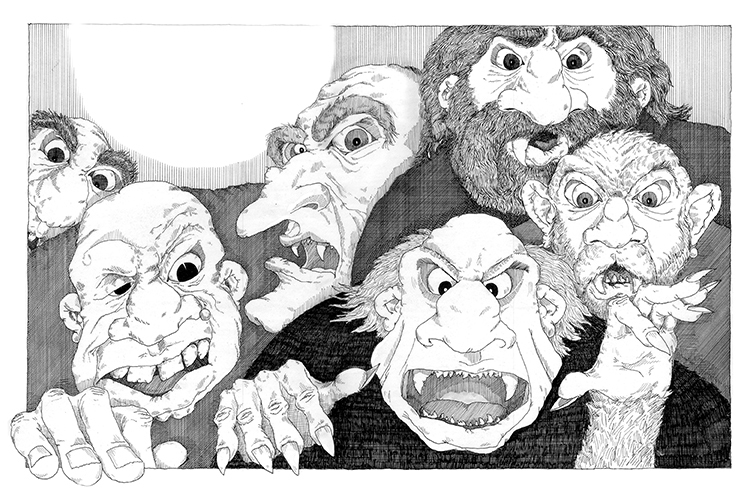 On the top are a few celebrities, like Maurice Sendak or Robert McCloskey, who had the financial resources to spend long periods of time on single projects and make each book an important publishing event. At the other end of the spectrum are a great number of artists who draw a book or two and then leave the business when they can’t make a living at it. This art is created by successful, talented, familiar, but largely anonymous artisans. Like Joel Schick.